Awbrey Butte has many diverse neighborhoods. The newer development is located on the west, north, and east sides of the mountains, while the southern side has more of the older neighborhoods. These neighborhoods offer gorgeous views of Downtown Bend and Mt. Bachelor. The view range from the Three Sisters, Black Butte, Mt. Jefferson to Mt. Hood, Smith Rock, and Pilot Butte. 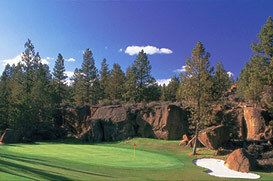 The Awbrey Butte area is also home to two golf clubs, The Awbrey Glen Golf Club and River’s Edge Golf Resort.